whose speech is the sound of all creatures. 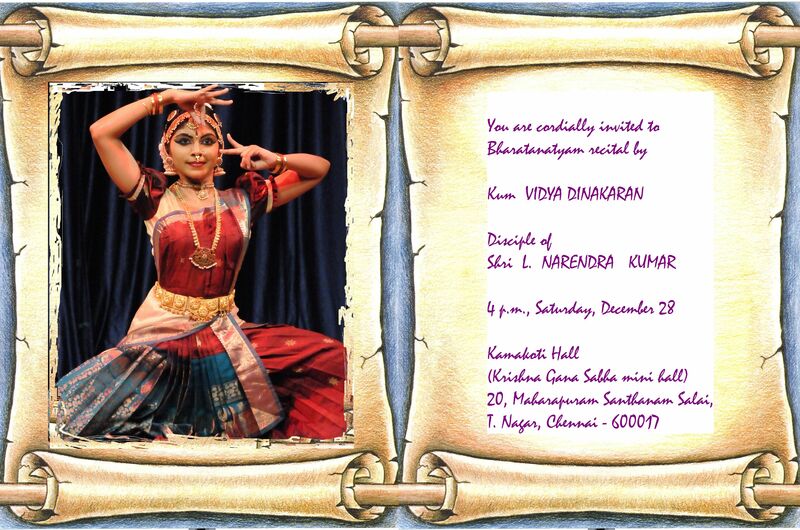 I will be performing under the aegis of Rasika Ranjani Sabha at R.K. Swamy Auditorium (Sivasamy Kalalaya School), 5, Sundareswarar Street, Mylapore, Chennai – 600 004 on Tuesday, October 26, 2010 from 5.30 pm to 7 pm. 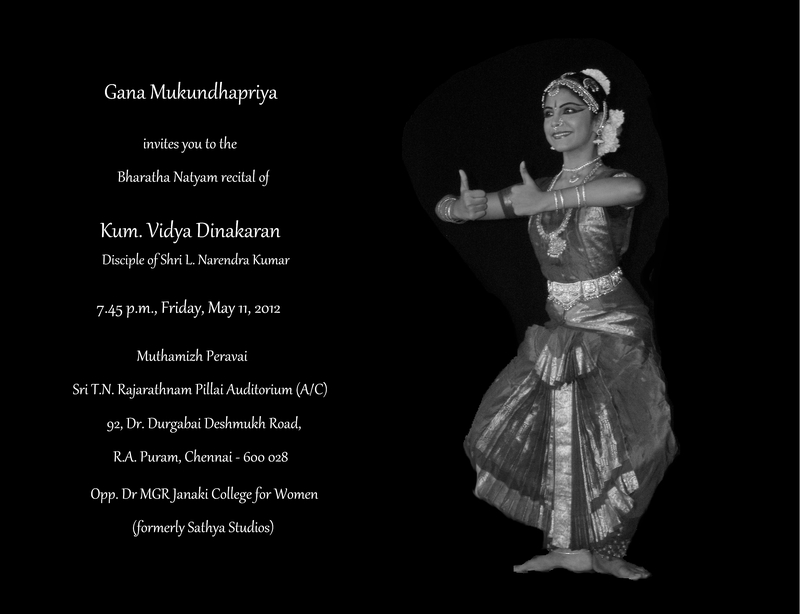 I am performing under the auspices of VDS Arts Academy, Chennai, on Friday, May 28, 2010 at 6.30 p.m at MOP Vaishnav College for Women, Nungambakkam High Road. I am performing under the auspices of Sri Parthasarathy Swamy Sabha in Mylapore on February 9, 2010 at 5.45 p.m. Please treat this as a personal invitation.